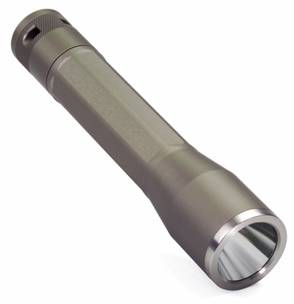 Features a ultra bright white 4.8 watt LED with an effective range up to 150 feet and a 5.25 in. black anodized body with flared head. Tiros Optical system. Uses 2 × 123A batteries, included.